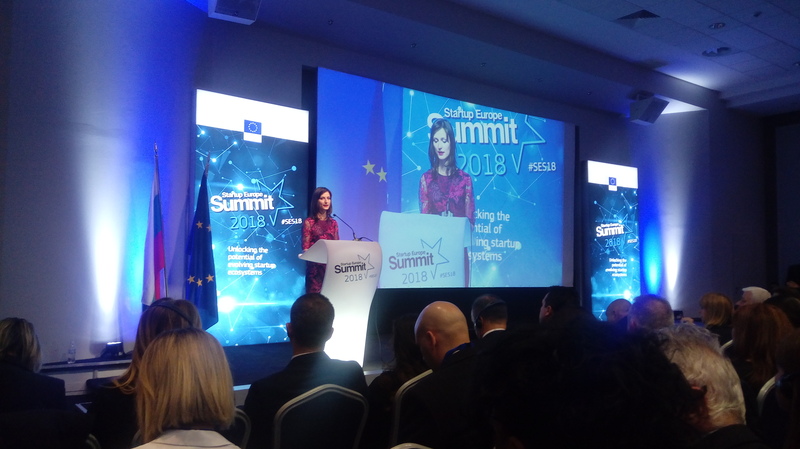 Sofia is the hosting city for this year’s Startup Europe Summit. This time around the topics are technology leadership, European ecosystem funding (more than €10 Billion in the pipeline) and growing your business. The attendees will get the opportunity to exchange ideas, challenges and success stories with numerous leading tech stars and EU policymakers like Mariya Gabriel, Commissioner for the Digital Economy and Society, European Commission, Simon Schaefer, Founder & CEO of Factory, President of Startup Portugal and Angel Investor in Europe, Anja Monrad, Senior Vice President & General Manager at Dell EMC, CEE and chair of the Digital Skills and Jobs Coalition Governing Board. "Of the 223 unicorns in the world only 23 are european.... We need StartUp Europe. We are only at the beginning." - Mariya Gabriel, Commissioner for the Digital Economy and Society. Workero is a digital platform enabling mobility and interaction between companies and workers by offering creative workspaces in their respective office locations. It's a simple idea that transforms idle workspaces into places where companies and workers can connect and share knowledge. Workero enables and facilitates open innovation, collaboration and co-creation between large corporates, startups, scaleups and professional workers. Its app was developed in-house by Thierry Vermeiren, COO and his team. The Workero app enables you to connect with companies and workers, book your office or coworking desk and plan your travel itinerary on the go. The PropTech StartUp Europe Awards is part of StartUp Europe -Headed by Commissioner Isidro Laso Ballasteros- and is an initiative of Workero, EU Proptech House and Finnova Foundation, supported by the European Commission, by the President of the European Parliament, the President of the Committee of the Regions, the Vice-President of the Economic and Social Committee and several members of the European Parliament. SEUA is supported by the StartUp Europe Accelerator of the Finnova Foundation. Every PropTech startup in Europe will have the opportunity to submit their pitches in 5 categories. Then, 50 shortlisted startups (10 per category) will be invited to a live-pitch session in March 2019 in Brussels, in the presence of the board members, the Representative of the European Commissioner and all the jury members. The winner of each category will be announced on May 15th 2019. Later on, these 5 winners will go head-to-head to determine an overall winner who’ll be announced in in June 2019. Are you part of a startup? Or do you have a product that’ll revolutionize the world of Real Estate? Sign up here for the Startup Europe Proptech Awards. You’ll get the opportunity to pitch to leading tech innovators and members of the European Commission.